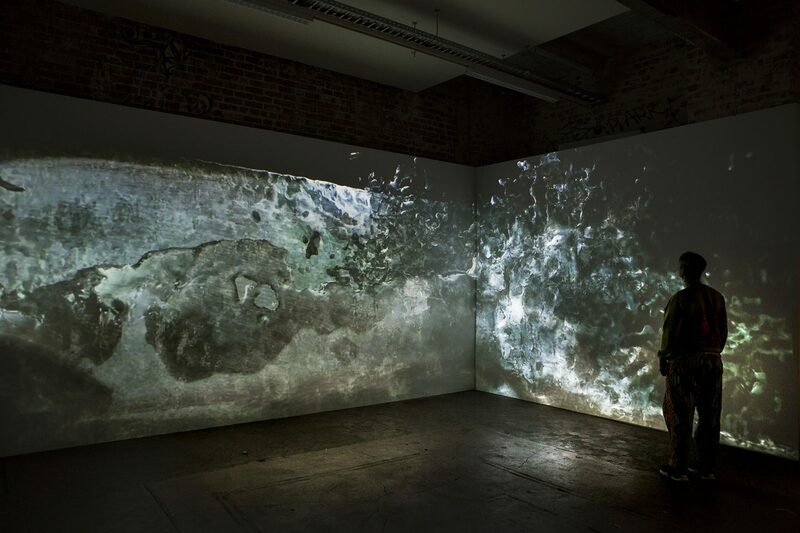 Shifting Surrounds is a major exhibition by Yandell Walton at The Substation in Melbourne of immersive installations. The exhibition investigates our changing environment focusing on human impact and climate change. Yandell Walton investigates the impermanence of life addressing the relationship between nature and mortality through environmental, political and social experiences. 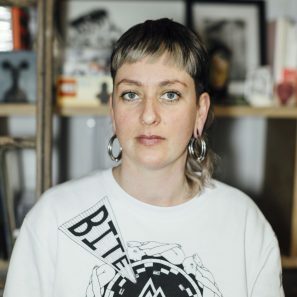 Through creating immersive works that connect to the viewer, she aims to engage and inspire action from individuals towards a collective consciousness within an ever-changing and increasingly damaged planet. Shifting Surrounds has been in development since mid 2017 with a commitment by the artist to develop new site-specific installations that shed light on Climate Change. 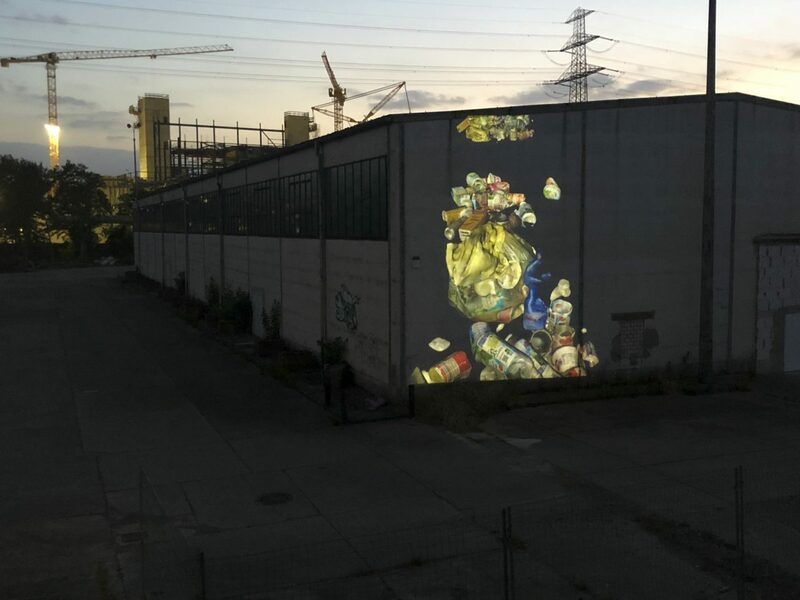 Through undertaking two residencies on site at The Substation and a residency in Berlin the project instigates new developments in Yandell’s practice including; 3D scanning and printing; seamless multi-channel projection; and immersive sound design. This four site responsive and immersive works will be presented in a six week exhibition (April/May of 2019) as part of ART+CLIMATE=CHANGE festival attracting a broad audience. Shifting Surrounds is a socially engaged exhibition that allows audiences to consider the ecological transformations unfolding on our planet through a contemporary art exhibition. As an artist Yandell aims to make a difference through her work, to engage and inspire action. This ambitious project is in its final development stages and comes at a time where Climate Change is at the forefront of public debate. You can help fund the costs associated with delivering the exhibition and contribute to art for social change. As a keynote exhibition in both The SUBSTATION’s 2019 program and the ART+CLIMATE=CHANGE festival program, Shifting Surrounds will use contemporary art as a vehicle for audiences to consider climate change issues from their own perspective. Art plays an important role in interpreting complex issues in a simpler, intimate and immersive way. Generous donations will contribute to the hire costs of equipment needed for exhibition, specifically projectors and speakers. The installations use cutting edge technology, map entire gallery spaces, utilise 3D scanning and printing technology and respond to space creating an immersive experience. The exhibition will run from 3rd May -15th June and include a public program with panel discussion and artist talk. Yandell Walton is an accomplished contemporary artist exhibiting regularly in non-traditional and public spaces both in Australia and Internationally. A leader in her field she has worked with new technology at the forefront of her practice, predominantly projection installation, for over 12 years. Her work has been part of ART+CLIMATE=CHANGE Festival (2017) Melbourne, Light City Baltimore (2016), Digital Graffiti Florida (2015), Experimenta Speak to Me (Melbourne & Brisbane 2012-14), PUBLIC Festival Perth (2014), Melbourne Festival (2012), VIVID Festival Sydney (2013), ISEA (International Symposium of Electronic Art 2013) and White Night Festival Melbourne (2013/15). Recent public art commissions include ‘Departed’ in regional New South Wales (2016), ‘Absent Presence’ in Townsville (2014) and Transition in Melbourne (2014). 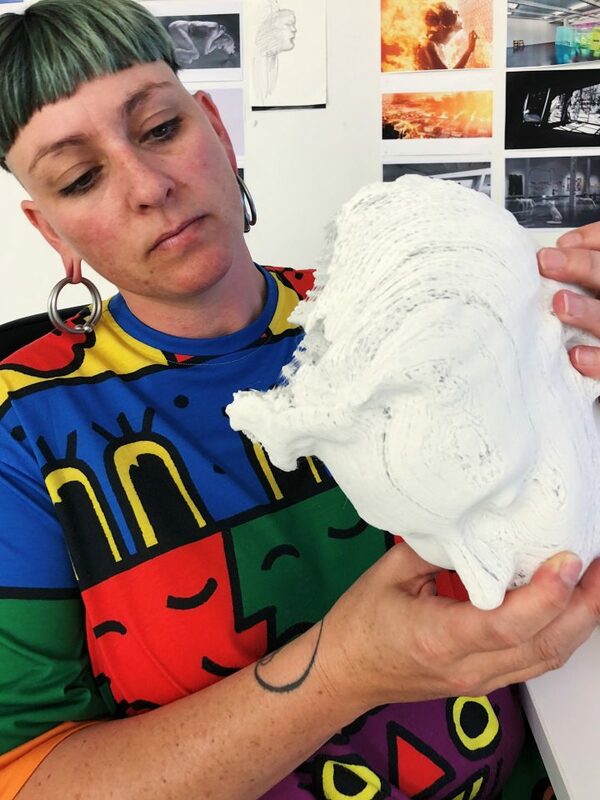 In early 2018 she undertook a self funded residency awarded by Victorian College of the Arts at Phasmid Studio in Berlin. 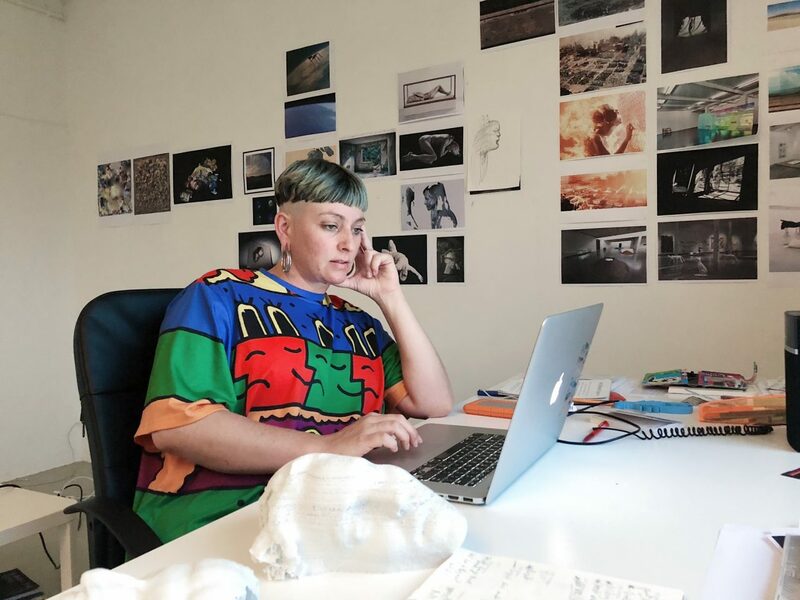 In 2019 she will present her first major solo exhibition at The Substation in Newport Melbourne and later in 2019 present a major public art commission as lead artist on Digital Agora public art project in Nillumbik Victoria.